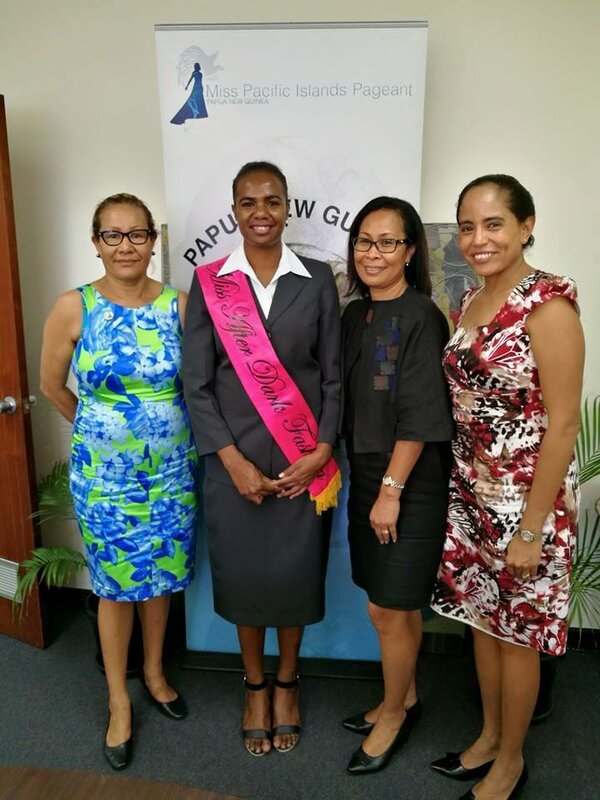 An SME (Small Medium Enterprise) owned by a Papua New Guinean female entrepreneur has joined the family of Miss Pacific Islands Pageant PNG as sponsor of a contestant. The corporate apparel and fashion wear company, After Dark Fashions is the sponsor of twenty six year old Rachael Ezekiel from Markham in Morobe Province. Rachael Ezekiel grew up in a typical PNG village where women are regarded of low status and education is a challenge for a rural PNG girl. She studied her way from Markham valley to Pacific Adventist University near Port Moresby. She graduated with a Bachelor of Business Degree in Accounting and Management in 2015 and is now a Graduate Management Trainee with a Port Moresby based company. “I have come this far and continue to learn more, and aspire to gain a postgraduate degree and serve in a position of influence,” she said. Rachael says her biggest achievement so far is the establishment of a student association called ASAM in her home (Markham) district where more than 400 students from primary schools to tertiary institutions come together and empower each other to pursue education whilst maintaining their relationship with God and understanding their duty to the community. She said she is honoured to be given the opportunity by her sponsor After Dark Fashions to support high achieving young women to complete their tertiary education through the MPIP PNG Scholarship Fund.